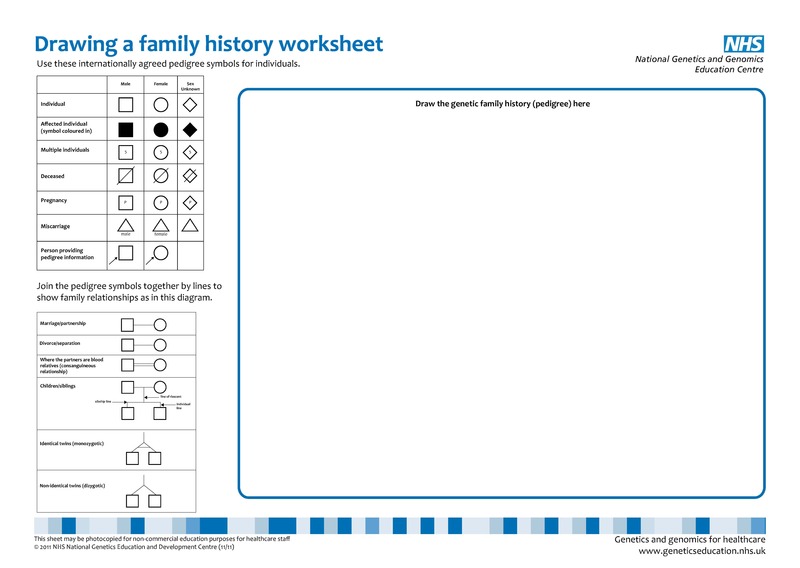 Below is a family history worksheet and a blank Family pedigree drawing sheet. 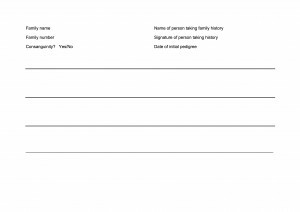 We have created some videos to help you think about how to take a family history in practice. 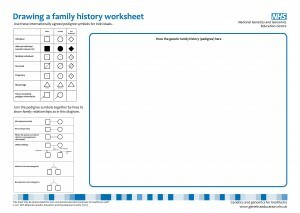 Drawing a family history worksheet – the symbols used to record the family history in a pedigree (provided by the National Genetics and Genomics Education Centre).